Another nice spring day today. The robins are out digging for worms and the CHipmunks are busy making new tunnels and collecting food. Lots of people don’t like them, I have had a fondness for them since I was a child. So I enjoy their antics. 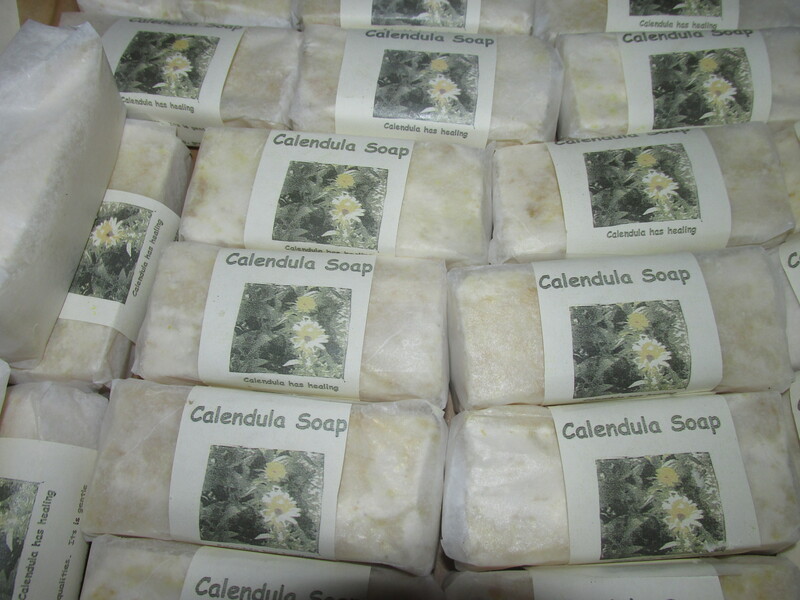 Yesterday I made a double batch of Calendula soap. 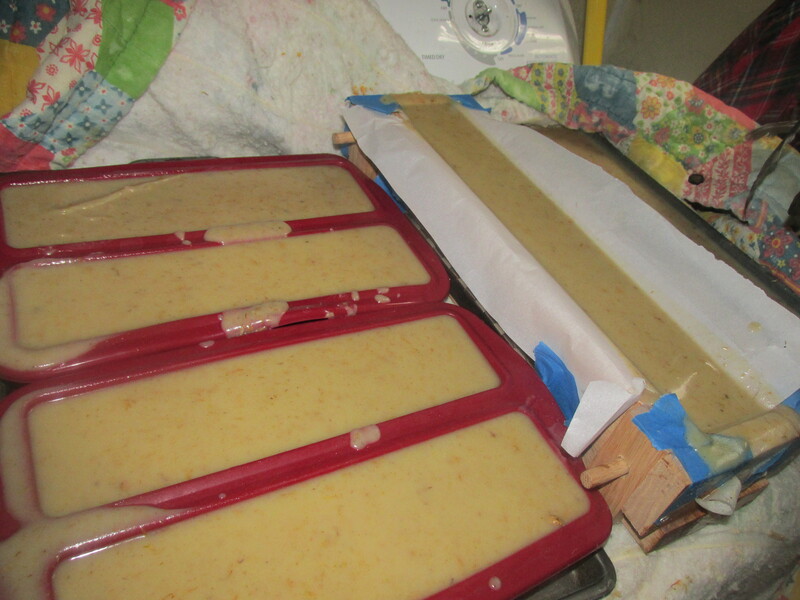 I have three more different kinds of soap to make, Oatmeal, Summer Rose, and the Basil/Lime gardening soap. 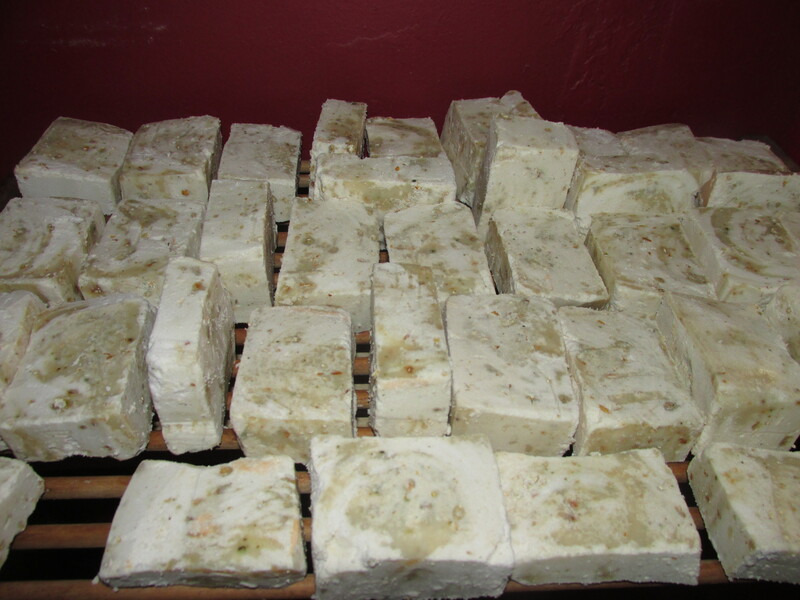 The making of soap is a time-consuming process. Just setting up take about 45 minutes. I started yesterday at 7:30 and finished cleaning up after 1. 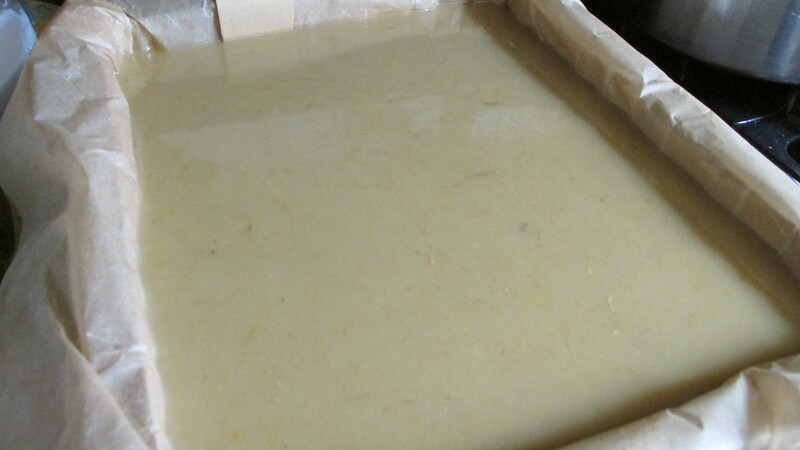 It has cooled off overnight and cutting it is the next step, then it will sit and cure for 3 weeks or more. I am hoping to sell some on my Facebook page this year. 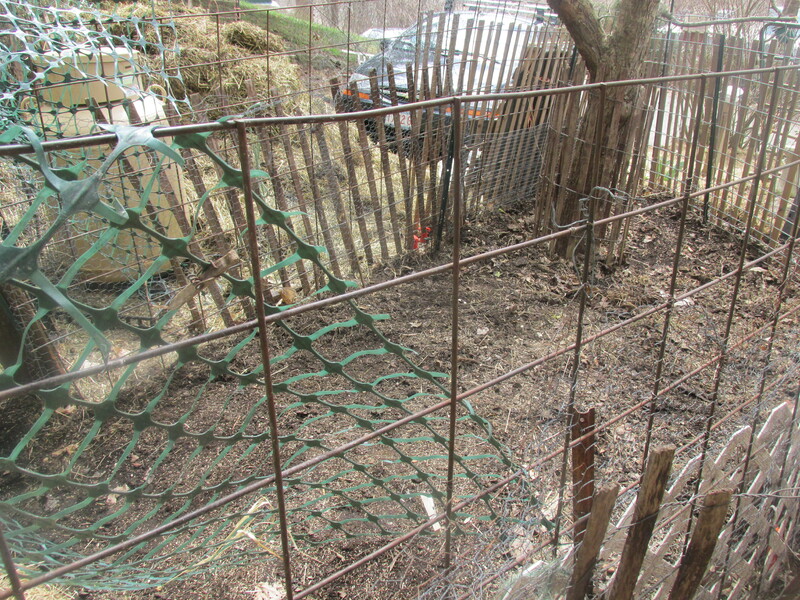 I have raked up and seeded part of the chicken yard in front. Now all we need is some good rain which is supposed to come at the end of the week. I still have manure to get rid of in spite of giving 2 truck loads away. I will be cleaning the barn during the weekend but there won’t be too much then. 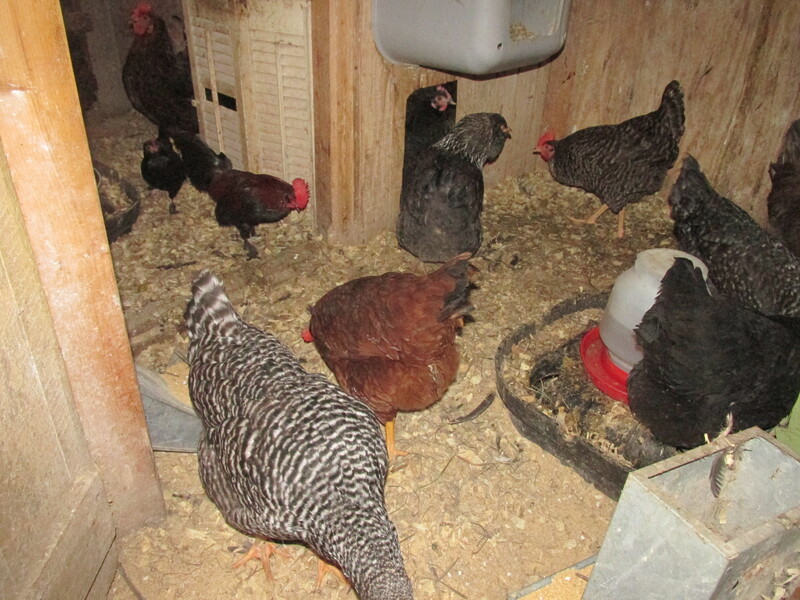 I want to get the chickens in the house out soon but there is a big clean up from the fallen tree and I need to move some fencing. I think that I will plan on doing that this coming weekend when the temps are suppose to go to about 70. Whenever in Claire, Ireland Cindy and I always went to Doolin Pottery. The cottage and shop was old and well taken care of, and samples of the pottery that was available was put out on the old stone wall. One year we went there and someone else was living there we were so disappointed and found out that she had moved to Australia. 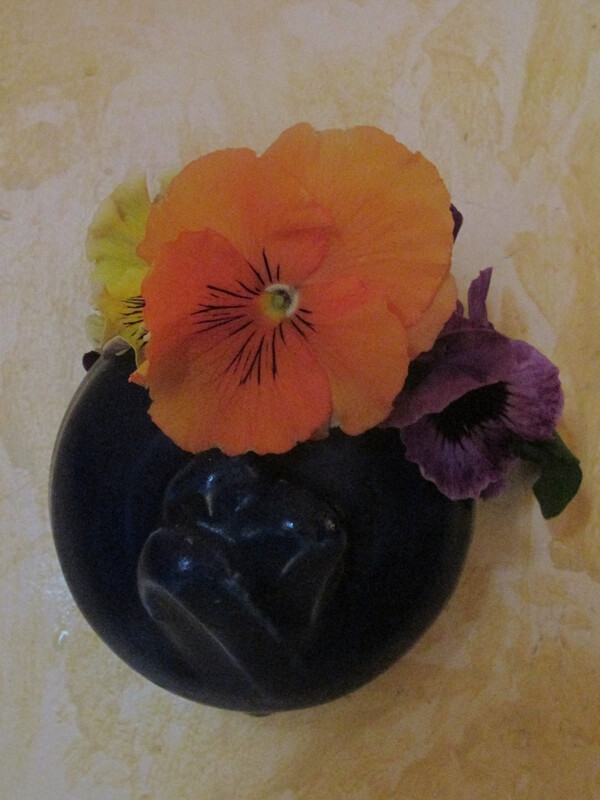 I love this sweet little wall vase and have it in my bathroom always filled with flowers. The tests came back and the news is good. 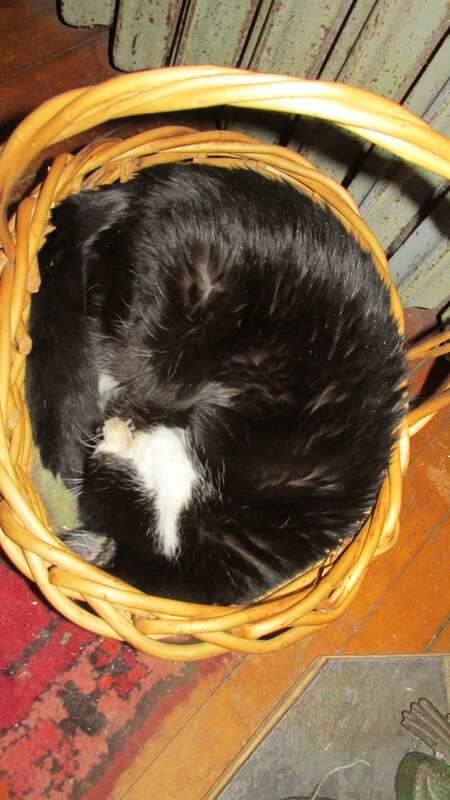 Minnie has hyper-thyroid. Her metabolic rate is super high which is causing undo stress on her heart and kidneys. She will be on medication like Sam twice a day for the rest of her life. It might take a little while to get everything straightened out but its an excellent. outcome. She will put on weight, have more energy and feel good. 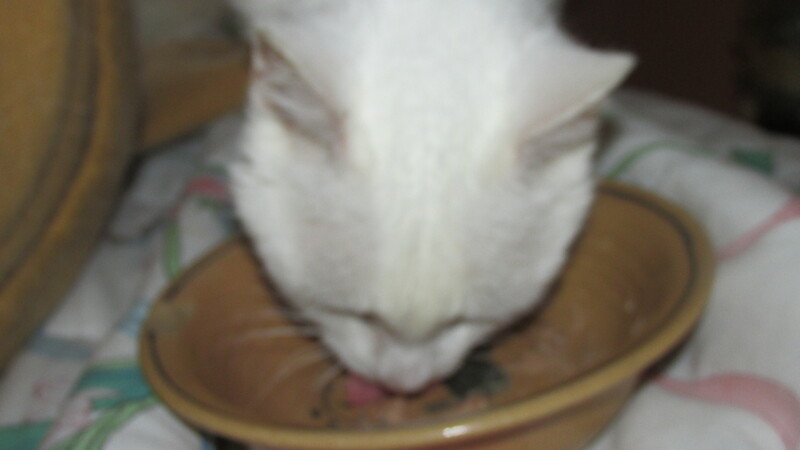 SHe will still need some fluids while her body adjusts to the medication. I am still smiling from Doctor Funk’s call. Her first pill with baby food. SHe ate it all. Tomorrow is my second spinning class at SHeep and Shawl. I have 3 students which is a great number. I will be bringing my new wheel. I will have another class in the Fall and one during the Winter months. I wrapped about 70 bars of soap yesterday. It took half the day. 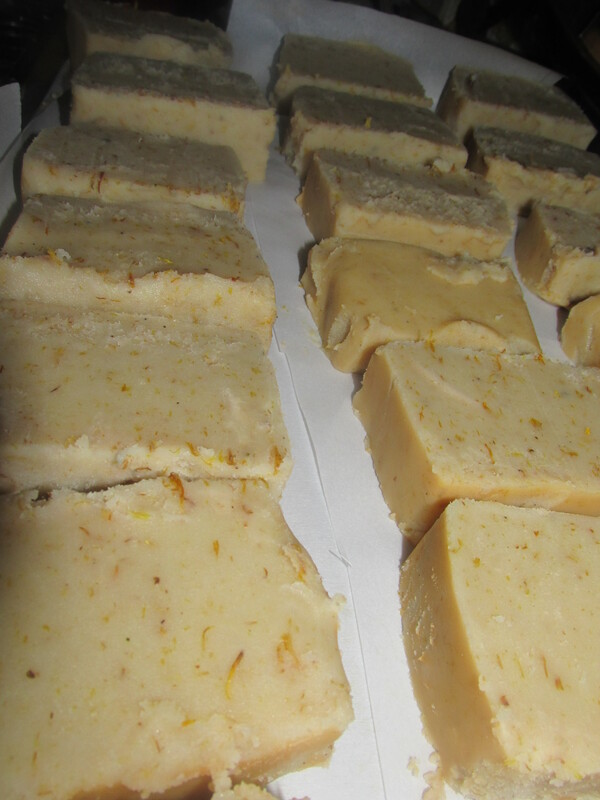 I still have lots more to make, summertime has not been a good time for me to make soap so it has to be done when the morning temps are cool. Another batch over the weekend I hope. 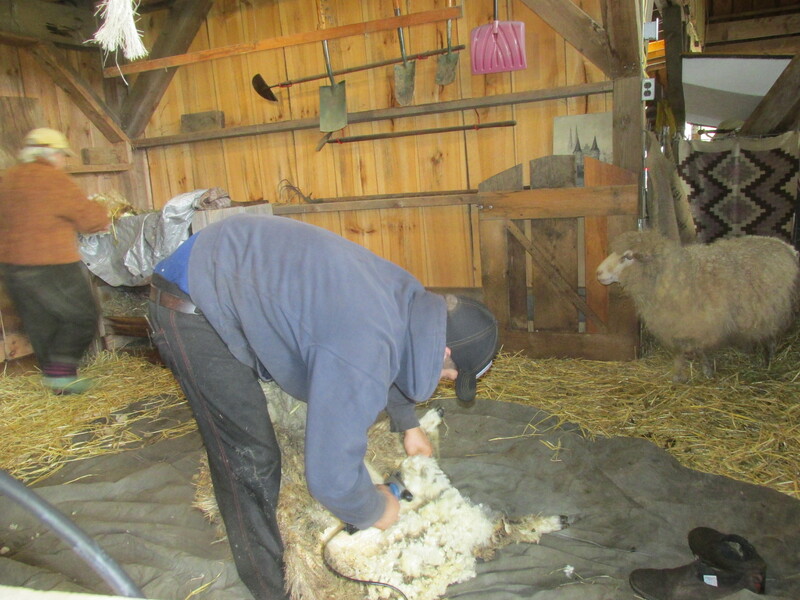 There are so many kinds of sheep out there and if your are buying local yarn or a fleece its good to know the best use for the yarn or fleece. This book is a tell all in the best way. 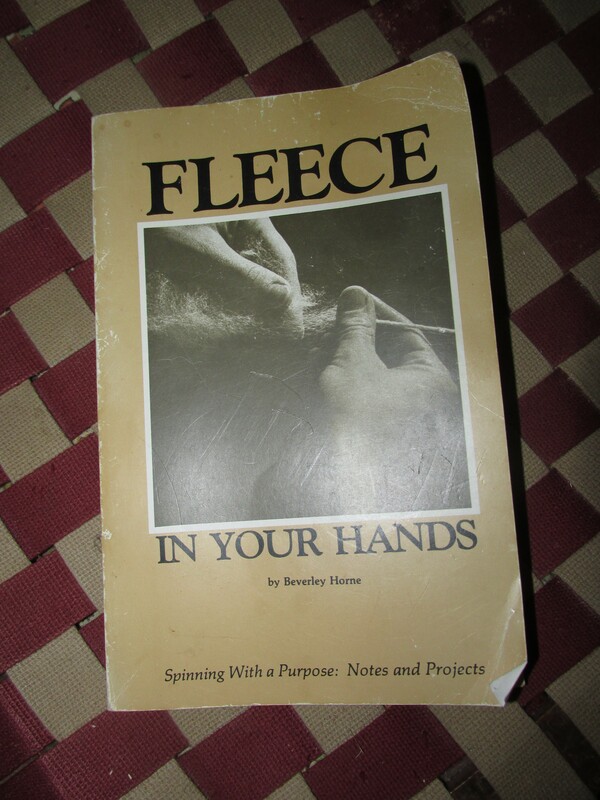 I found it very helpful in my quest for a good fleece. 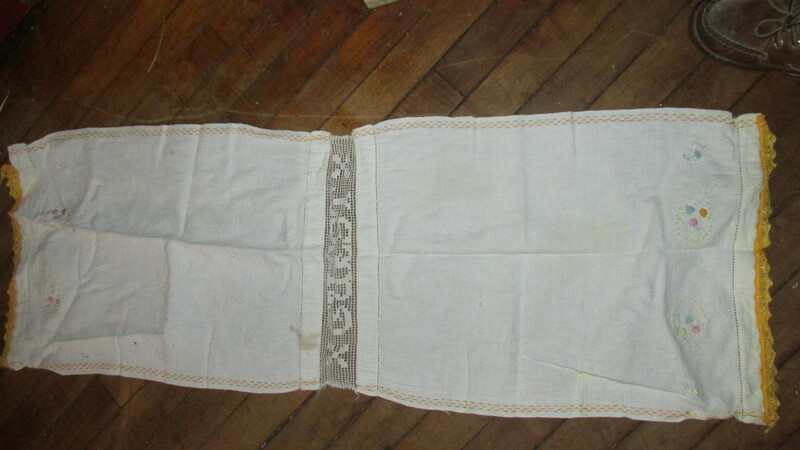 It was published by Interweave in 1979. 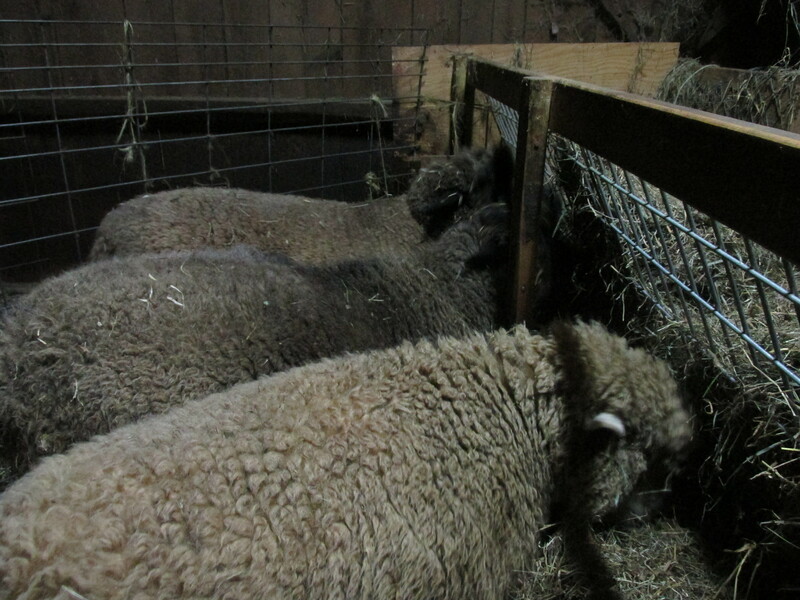 For each sheep breed described, and there are over 15, she gives the characteristics of the wool, preparation and spinning of it, carding hints and recommended uses. SOmetimes there is a knitting or weaving pattern for you to try. This small book is a great book to have even if you are a seasoned spinner. You can still get it on Amazon. My class schedule is set for May and June and I will be teaching Drop SPindle in the fall. In this class we will explore rug hooking. 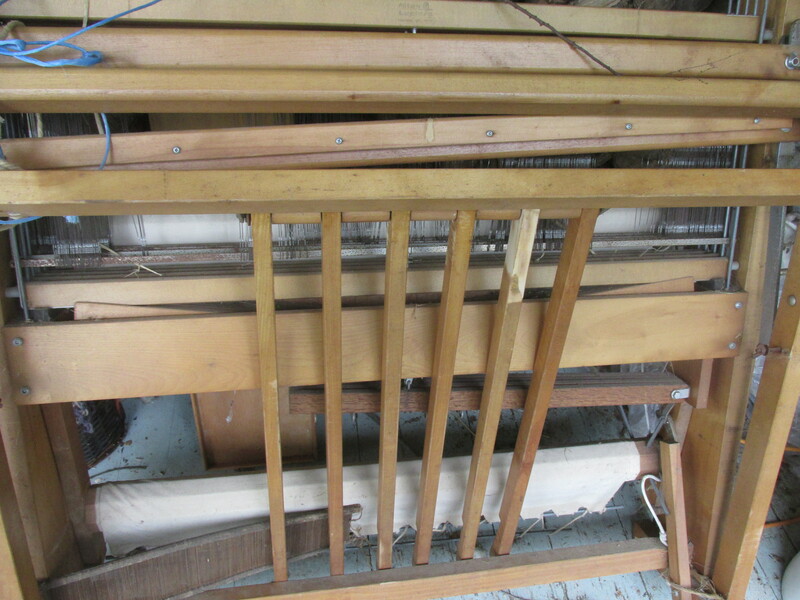 We will use yarns and all sorts of materials and learn to do some proddy hooking too. This class will be loads of fun and a good way to use up your yarn stash. Sign up soon at SHeep and Shawl. I live in the village of Griswoldville in the town of Colrain. There are many wonderful things about living in a village. You know most of your neighbors, and in the spring and fall people stoke or start their wood stoves up for the night between 5 and 6 pm. That wonderful smell of wood smoke permeates the air. It is very similar to Ireland where people use peat or turf and that wonderful smell permeates the air there at the same time. 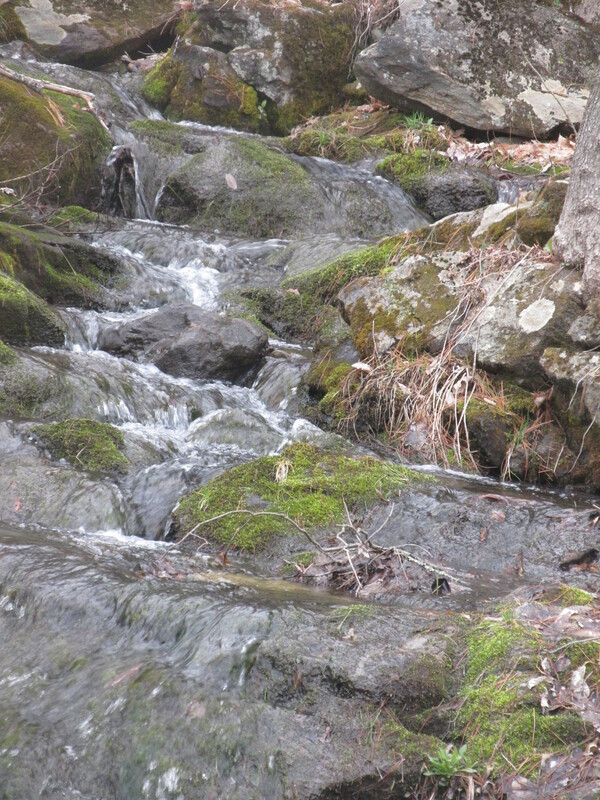 We have swimming holes for kids to swim in and plenty of places to fish. I consider myself lucky most days. 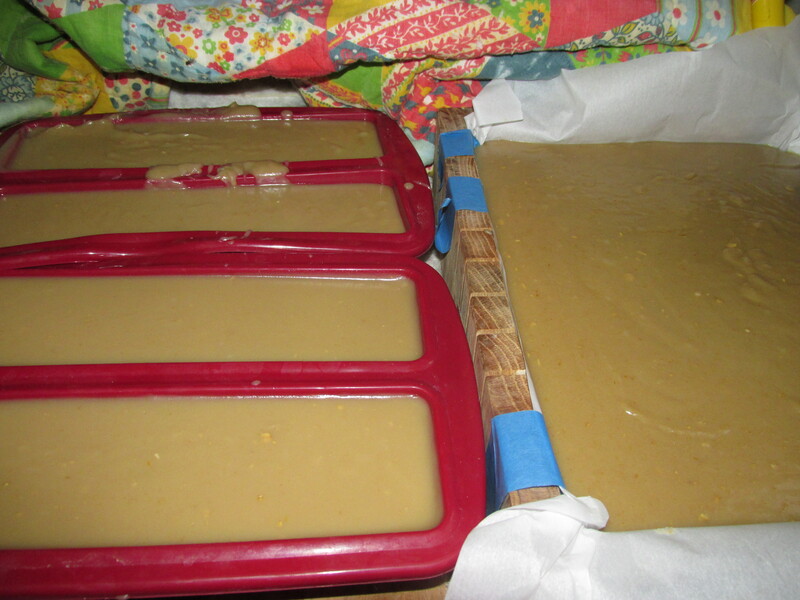 I made Oatmeal Soap yesterday, a double batch. It’s really popular and I do love making it. 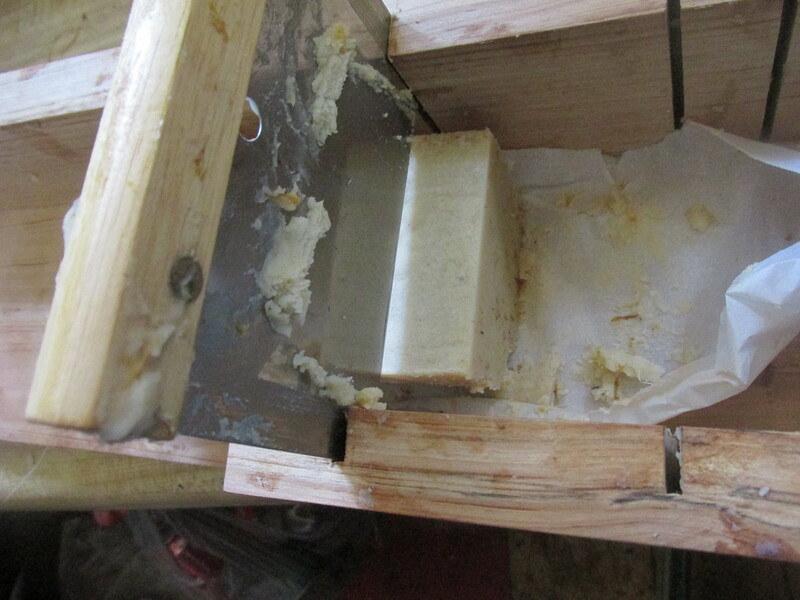 It cooled down overnight and was cut and now is drying, It should be ready May 1st. I spent part of the day cleaning up the Calendula and Lime/Basil Gardner’s Soap today and will leave it dry a few more days. I plan to package it up the end of the week. 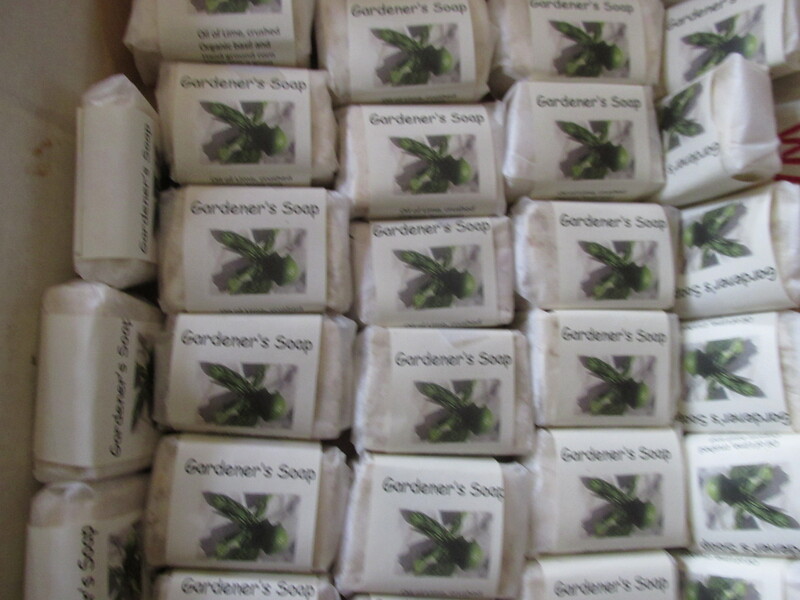 I want to package up some soap with a jar of salve and a hand knit mitt as a special Gardner’s package. 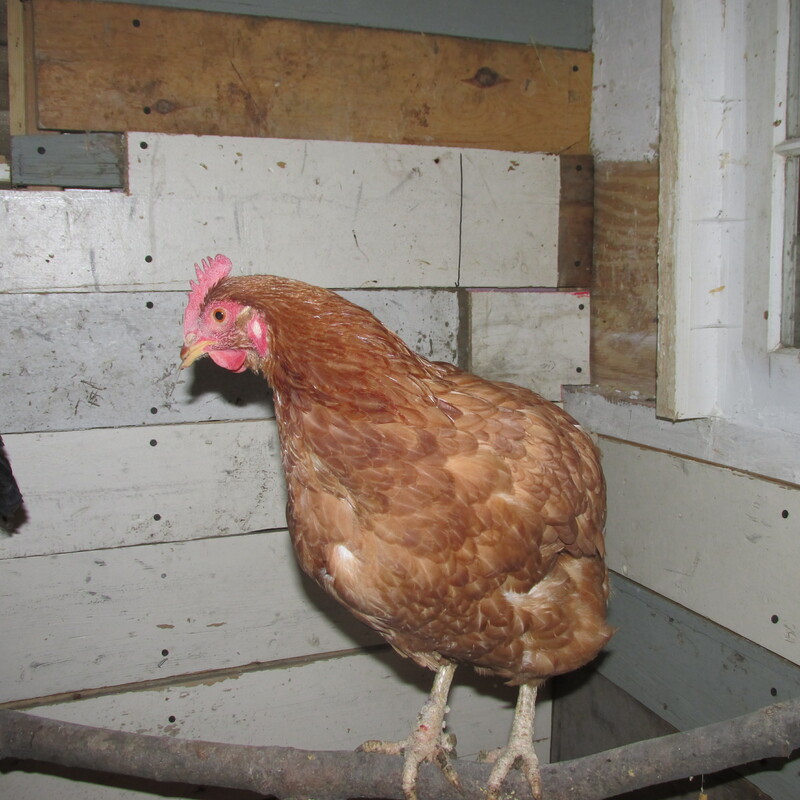 I scooped up another egg from Morticia, she didn’t seem to mind as long as I was giving her a snack.. They had oatmeal with blueberries today. My clothes dried quickly yesterday How I like to lay my head on a pillowcase that has been dried outside. 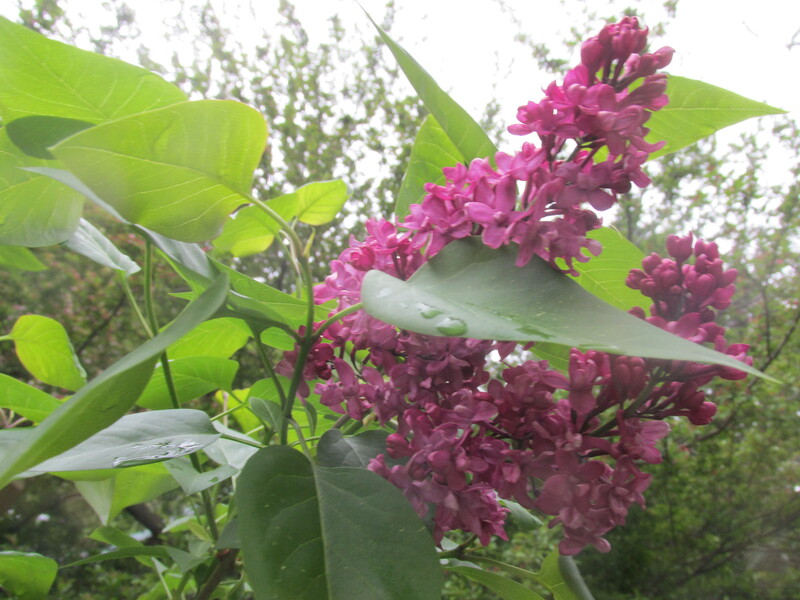 That wonderful fresh smell. I don’t always dry my clothes outside but do it when I can. Its something I helped my Mother and Grandmother do. My Grandmother in Maryland had a wringer washing machine. As a child I had never seen one before and almost got my arm caught in it while helping her. My Mom had a wooden clothes line that swung around, my Grandmother and my Aunt Helen both had a heavy wire strung with wooden poles with a notch cut into them to either put the line up high or lower it for hanging or taking the clothes down. I loved that idea. Hanging clothes outside is now popular again with energy prices going up all the time. I have had a clothes line every place I lived.